Every Arsenal fan looks forward to the summer for more reasons than one. In recent times, things have been a bit gloomy in the Red half of North London with the lack of silverware being a cliché that has haunted Arsenal’s loyal fans. Every summer offers these set of individuals the opportunity to regain fresh optimism in the team they love and support. Last season proved that, despite experiencing a tumultuous summer and a shaky winter, the Gunners enjoyed a resurgent autumn and the consistent run in spring made the season end in full bloom. While the European Championships offered us some necessary distraction, transfer activity has been at an all-time high, with the media Vultures doing their bit to link Arsenal to every footballer in the Milky Way. Last season, it took an 8-2 mauling in the hands of Manchester United to open Arsene Wenger’s eyes in the worst possible manner and he removed the dust off Arsenal’s cheque book to make five acquisitions from all over Europe. The media Vultures sang sweet tunes about Gary Cahill and Chris Samba, labelling them as Arsenal’s defensive messiahs but Arsene Wenger opted for ze Big F*ckin Giant, Per Mertesacker, that added his vast experience, height, composure and coordination to the heart of Arsenal’s defense. It is unfortunate to see his season cut short by that pitch fit enough to rear cattle called the Stadium of Light. Down the years, Arsenal had been graced with great left backs in the form of Nigel Winterburn, Sylvinho, Giovanni van Bronckhorst, Ca$hley Cuntly Cole and Gael Clichy. Kieran Gibbs was next in line to get a shot at glory but countless niggling injuries hindered his progress, so Wenger opted for Andre Santos, a Samba boy renowned for so much attacking verve with equally adept defensive capabilities. The departures of Cesc Fabregas and $amir Na$ri were very bitter pills to swallow but life had to go on after such monumental losses. Arsenal had lost legends like Patrick Vieira and Thierry Henry before them but the world as we knew it didn’t come to an end. Up stepped Mikel Arteta, the hair gel specialist that integrated himself into Arsenal as a vital cog in the midfield engine. Arsenal was greatly affected by his absence through injury. Wenger also injected some experience into the squad in the form of Yossi Benayoun, that has been there and done that in the Premier League. He was at the fringes for a large chunk of his loan spell but he was immense in the club’s surge for Champions League football in the tail end of the campaign. And there was Park Chu-Young. I reserve my comments. Arsenal has added a new attacking piece to its jigsaw puzzle. He’s a forward that has been labelled as a typical Arsene Wenger signing; shrewd, well thought of and relatively unknown. These are the feats that have made Wenger a household name in the transfer world. Arsenal is delighted to announce the signing of Montpellier Herault SC’s Olivier Giroud on a long term contract. Without further ado, here are 10 things you need to know about Arsenal’s new acquisition. Giroud is an imposing figure that has a strong build with a height of 6′ 3″. Last season, he had one of the best records in European football, as he won the most aerial duels in Europe’s top five leagues last season, at a staggering percentage of 73%. Giroud was a regular target for Montpellier’s goalkeeper through goal kicks and his ability to knock down the ball for his teammates played a key role in instigating many attacks. This will certainly be a move Arsenal will be keen to exploit, as locating a player in Red and White will be no different from what Giroud did with his previous teammates donning the Blue and Orange of Montpellier. Giroud is also a massive presence in the box, defensively and of course, offensively. Last season, he lurked around the the near post defending a lot of corners for his team but it’s really awkward to know that out of the 21 league goals he scored for Montpellier, only one was scored with his head. Montpellier used the 4-5-1 tactical setup in most games last season and you don’t need a soothsayer to tell you the striker that spearheaded the attack, Olivier Giroud. The forward loves playing with his back to goal and his ball retention skills are excellent. He is also a selfless player and it’s worth noting that Giroud was involved directly involved in 30 of Montpellier’s 68 goals scored in Ligue 1 last season. While shattering the opposition net on 21 occasions, he laid on nine assists to his teammates. If you review Giroud’s career by the numbers, you’ll find out that Giroud has played consistently in his previous clubs without any serious injury lay-off. In just two seasons with Montpellier, Giroud notched up an impressive 86 appearances while a player like Abou Diaby has over 112 appearances in six seasons with Arsenal. We should also bear in mind that Giroud played as the lone striker for most of these games on a consistent basis. You’ll have to have the DNA of Park Ji-Sung, Dirk Kuyt and an Ox (the animal, not Oxlade-Chamberlain) to keep up with such fitness levels. 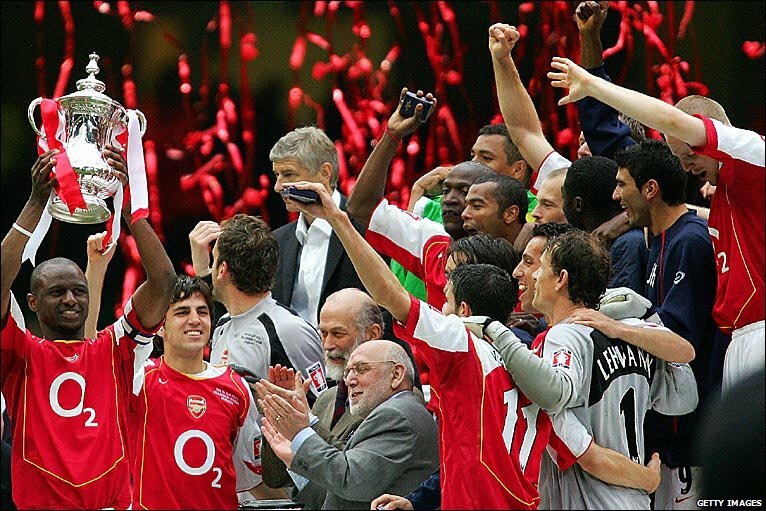 If you take a vivid look at Arsenal celebrating the 2005 FA Cup final, reality would don on you to know that the only remaining existing member of that title-winning lot is Robin van Persie, as Manuel Almunia has been shown the exit door by Arsenal. This clearly means that this present crop of Arsenal players haven’t gotten that bliss feeling of standing on a podium while celebrating a trophy, with the exception of Sebastien Squillaci, that won lots of trophies with Olympique Lyonnais as well as a Europa League trophy with Sevilla. Giroud on the other hand, received his first stint of silverware with Montpellier Herault SC, as they shocked the football world by winning their maiden Ligue 1 title. Like Robin van Persie, Giroud also received a personal award, as he was given the Ligue 1 Golden Boot for blasting in 21 goals. Like I stated earlier, he scored only one goal with his head but he smashed in 16 goals with his favorite left foot, five with his weaker right, two penalty kicks and five more piledrivers from outside the box. Like Robin van Persie, it’s fair to say that he scores when he wants. Giroud and Koscielny were teammates in Tours FC in the 2008/09 season. In that campaign, Giroud scored nine goals in 23 appearances (14 goals in 27 appearances overall) while Koscielny scored five goals in 34 league appearances (six goals in 39 appearances overall) earning a place in the Ligue 2 Team of the Season after a brilliant campaign. Koscielny was snapped by FC Lorient the following season, but Giroud remained at Tours FC for one more season, scoring 24 goals and supplying seven assists in 42 appearances before moving to Montpellier. It’s fabled that Giroud is in a bromance with Koscielny. They are an inseparable pair that are always together in the dressing room, the bus, team photos, training, tennis and even dinner. After securing his move to Arsenal, Giroud stated that Arsenal is an amazing club with a great French coach and his bro, LoLo is playing there too. I’ve heard people call Koscielny the Bosscielny or Kos the Boss, but LoLo? What Arsene Wenger can see sitting on the dugout, we the fans can’t see it at the highest point of the stadium. I can vividly recall how the fans wanted Jack Wilshere to have a second spell with Bolton, but Wenger justified his decision to keep Wilshere with his performances all season long. Wilshere is currently indispensable to Arsenal. I’m certainly no AKB (Arsene Knows Best), but I can’t recall any manager in world football that has made shrewder yet classy signings than Arsene Wenger. When Le Boss sees that raw talent in a player, he goes for him and uses his alchemy to transform the player from Lead to Gold. Like many shrewd signings before him, Arsene Wenger rates Giroud highly and he has aired his views on the forward to the media Vultures. “I think he has exceptional potential and will integrate very well in our collective and our way of playing. He’s a real team player and knows how to combine with other players and I’m sure he will do well with us.” – Wenger, before signing Giroud. We can only hope for Giroud to be like LoLo rather than ChiAmaka, or Chamakh as he’s known in this part of the world. Twitter is a very powerful social networking platform that has connected so many people with others with the same interests. 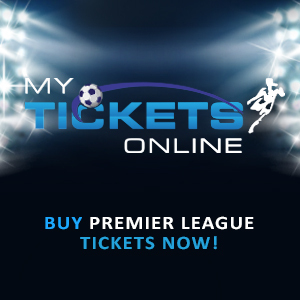 Footballers also use this platform to interact with their fans giving them info on their activities and what have you. Arsenal has its fair share of tweeps in the form of Jack Wilshere, Robin van Persie, Johan Djourou, Bacary Sagna, Alex Oxlade-Chamberlain, Andre Santos and a host of others. In his Montpellier days, Giroud’s Twitter handle was @GiroudMHSC but he has changed it to @GiroudOfficial. Even Arsene Wenger has stated that Giroud will fit into Arsenal’s fluid and intricate style of football that involves the use of a steady passing play, great off the ball movement, the use of a playmaker, target man and a patient build-up while frustrating the opposition defense. Giroud is a technically adept footballer that is good with the ball at his feet. He knows how to link his teammates up and he knows when and how to hold up the ball to bring his teammates into the game. He’s very good with his head and unlike Chamakh, he’s good with his feet in front of goal. He also lays assists to his teammates making him a complete all round center forward. However, Arsene Wenger has to find a way to integrate Giroud into the starting XI as Robin van Persie remains the focal point of attack. Despite being a lethal predator in the box, van Persie is betted suited in the Dennis Bergkamp role behind the striker, so pairing him up front with Giroud with Lukas Podolski and Theo Walcott in the flanks will reap dividends. “I’m a player who likes to play, who likes to participate in the game. That’s why I think the way Arsenal play will suit me. I like scoring goals and Arsenal create a lot of chances, so if I do well, then we will do well. The mere thought of seeing Giroud, Podolski and van Persie on one pitch excites me more than a kid receiving that present he always wanted from his parents. The prospect of watching these three Gunners interchange roles in attack as well as making those swift one-two passes have placed a butterfly or two in my tummy. Should Robin van Persie decide to remain at Arsenal, the heavy burden of goalscoring will certainly be alleviated and the presence of Podolski and Giroud should draw defenders away from Van Persie, or it could be the other way around. This certainly indicates that opposition defenses will have more things to worry about when playing Arsenal. “Yes, I’m conscious of the path I took to get here. These words are coming from a player that started his career at the depths of French Ligue 2 football and has progressed massively with each passing season. He began his career at Ligue 2 outfit, Grenoble Foot 38 and made a handful of appearances before going further down to FC Istres, a National outfit (Third Division). His eye catching performances in FC Istres prompted Tours FC to get a signature. A move that saw him smash in 38 goals in 69 appearances in just two seasons. Montpellier Herault SC came calling with an even bigger challenge but Giroud helped his team to a 14th place finish in his first season at the club scoring 14 goals in 43 appearances. Last season, Giroud contributed immensely to his team’s cause with 21 goals in Ligue 1 and four other goals in Cup competition. He has began a new chapter in his life, and we as Arsenal fans wish him the very best. Fernando Torres and Andy Carroll cost a whooping sum total of £85m, and they managed to amass 10 goals and 6 assists. Lukas Podolski and Olivier Giroud cost Arsenal roughly £21m but their collective output to their teams last season resulted in 39 goals and 16 assists. Posted on June 27, 2012, in Arsenal, Football, Premier League and tagged Arsenal, Football, Olivier Giroud, Premier League. Bookmark the permalink. 27 Comments. I’m sure u guys forgot to mention he is GAY. Reblogged this on Yomzzy’s Blog. Nice one bro. Good post. We now have Olie,Olie Giroud.Don’t forget we still need a creative midfielder who can contribute goals in double figures because every title winning team has such a player.Also a defensive midfielder may be Lucas Biglia,Capoue since M’Villa will be too expensive. Don’t forget that our keeper talks too much instead of concentrating & has started to make mistakes which can cost us the title.We need a keeper with experience who will not bring pressure on himself by always being in the media lime light.Anytime Scszyny talks too much about a game he messes up.Don’t forget the carling cup final and poland’s game against greece.Someone needs to tell him to focus & stop talking too much. Thanks for this nice post on one of my favorite player. Giroud is fantastic and Arsenal is lucky to have him. Who cares if he is gay? He is a great player and that’s all that matters, but he happens to have a girlfriend whose name is Jennifer. gay or not he’s way more proficient than Torres! Well he is a good player, but I think he doesn’t fit with Arsenal’s style in my opinion.